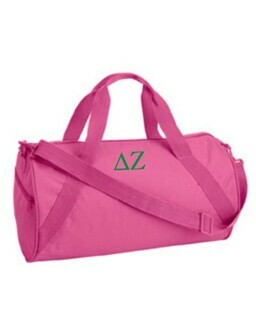 Whether it's to transport books around in one of our Greek bookbags or backpacks, or to bring your workout clothes to the gym in a customized duffle bag, we have every style of bag you need for your daily activities. Best of all, they all display your fraternity or sorority loyalty to the world. Our Greek Leather Look Briefcase is a classy backpack alternative that nicely complements a more professional outfit without breaking the bank. A zippered side pocket and separate inside compartments keep cell phone, pens and other materials neatly organized and easily retrievable. Your Greek name and crest are handsomely displayed on the side. 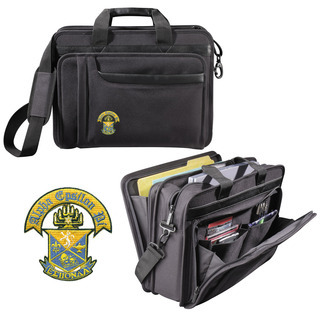 Our other Greek briefcase bags are made from durable polyester and also feature compartment pockets to keep you organized. 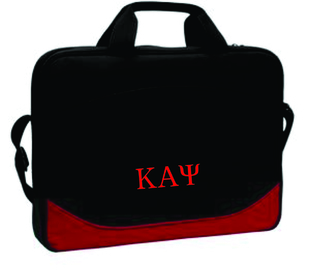 The Sorority - Fraternity Computer Case is similarly designed, with your selected group's letters on the front of the bag. We have backpacks available in a few different styles. 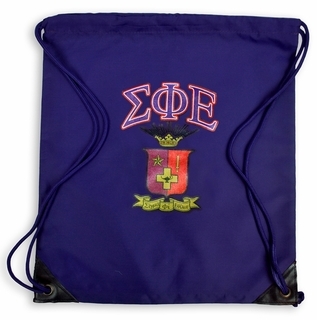 Our Fraternity & Sorority Greek Backpack, made from sturdy polyester, has ample space for all your books, groceries or whatever else you want to put in there. With our low price, it's a great value. Our Custom Greek Backpack is made from a higher grade of material that gives a softer feel and is longer lasting. 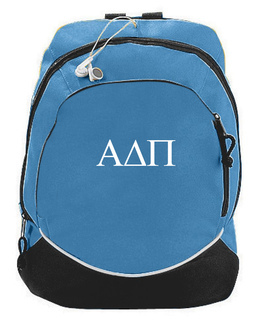 Our Full Color Personalized Greek Backpack is one impressive item. 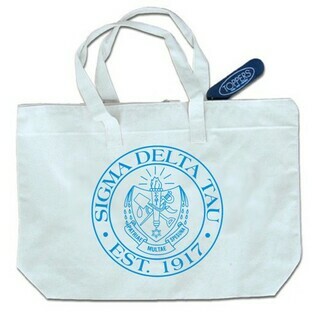 It's made of heavy duty canvas material with a large fraternity or sorority crest printed extra-large on the back. 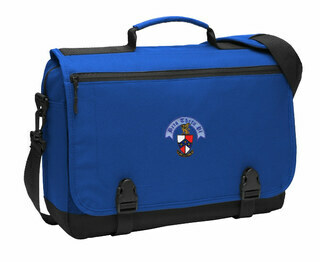 With its adjustable straps and both inside and outside pockets, this bag is bound to get a lot of daily use. 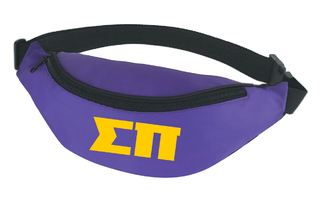 This would be a much appreciated gift for a new sorority or fraternity club member, for both on and off-campus. 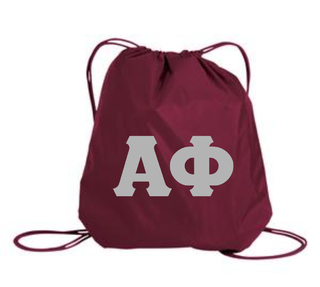 Our fraternity and sorority casual totes and sports bags also make great gifts for busy students with a lot of items to carry around. We have shoulder cinch sacks with drawstring closures in a few different designs. 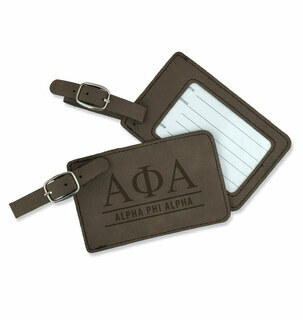 They're available with letters or a Greek crest with an additional line of personalization. 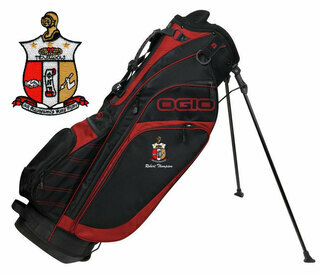 At GreekGear.com, you can even design your own cinch sacks and tote bags. You choose a color and can either select from our large database of existing artwork or upload your own. You then add your custom text for a special bag that's truly unique. 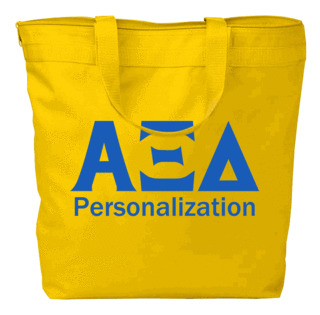 Our personalized, custom bags make great gifts for your group. 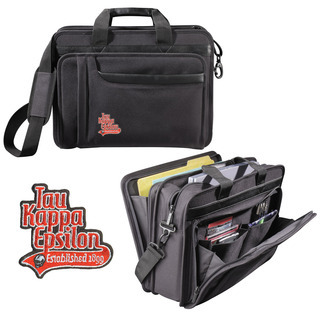 The Best Fraternity Bags Nobody Sells More Fraternity Bags!